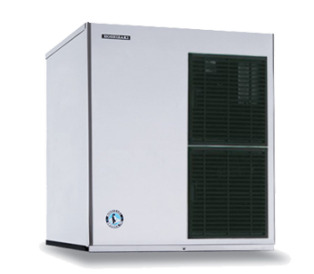 Hoshizaki Modular Ice Maker F-1501MWJ-C- Cubelet-Style, water-cooled, self-contained condenser. Produces up to 1376 pounds of ice every 24 hours. Stainless steel finish, compressed cubelet style ice. Advanced CleanCycle24 design, removes sediment, cleaner ice.